Moving here in 1980, we were changed by the creative and healing energies of the land. Catch A Canoe & Bicycles, too!, clients of Massage in the Forest and our Wellness Center, and diners at the Ravens. ​We treat our guests as we do our family. ​We provide outstanding equipment at Catch A Canoe & Bicycles, too! ; the finest massage therapists on the Mendocino Coast led by Leslee Huber; comprehensive strategies for joyful living at our Mendocino Center for Living Well led by Sid Garza-Hillman; and one of North America’s most acclaimed vegan restaurants, The Ravens. The Inn manifests our commitment to live mindfully so that all might live well. ​Big River Nurseries is our California Certified Organic garden. We offer produce and herbs to selected restaurants and grocers. As a retail nursery, we provide ornamental plants, herbal wreaths, sprays, braids, spices and herbs. We provide vegetables and herbs to our dining room. Using French intensive, biointensive, and organic methods, we raise a wide variety of lettuces, cabbages, spinach, radishes and gourmet vegetables such as radicchio, mizuna, arugula, and tah tsai. Some beds are used to provide cut flowers and others are rose beds. We are also experimenting with a wide variety of fruit trees, learning which will flourish on the coast. We are excited by our gardens – particularly in that we can present this approach of gardening/farming to you. It is productive and beautiful while remaining in balance with nature. ​The Stanford Inn features two restaurants – with two creative staffs. In the evening The Ravens provides an exceptional plant-based fine-dining experience! Guests don’t have to go out of their way to try an ethical, sustainable meal. They also find an outstanding wine list and a full bar. ​Breakfast at the Stanford Inn offers a large and extraordinary Breakfast Menu. Recognizing that most of our guests are not plant-based, we offer a large variety of elegant, gourmet breakfast dishes to assure a delicious dining experience! Our dishes are traditionally associated with the finest breakfast restaurants in the United States. 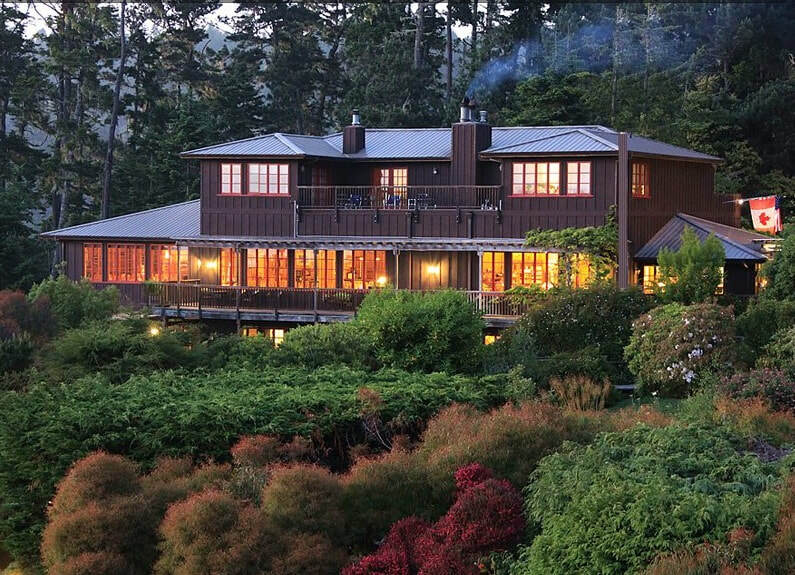 …the grand Pacific Ocean, the impressive Big River, the colorful organic gardens, and the historic village of Mendocino. Rates shown represent our seasonal range and are based on single and double occupancy. 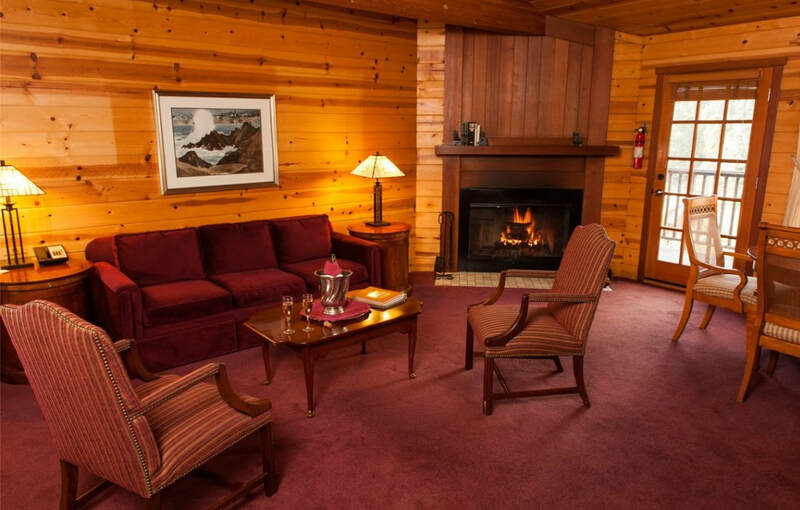 Rates vary seasonally, please call or check our reservation pages for exact pricing. Families and pets welcomed. Explore our Big River Lodge rooms, located on the Big River side of the property with spectacular views of the ocean and our gardens. with spectacular views of the ocean and our gardens. Explore our cottage suites, located on the Western side of the property with spectacular views of Big River and our gardens. 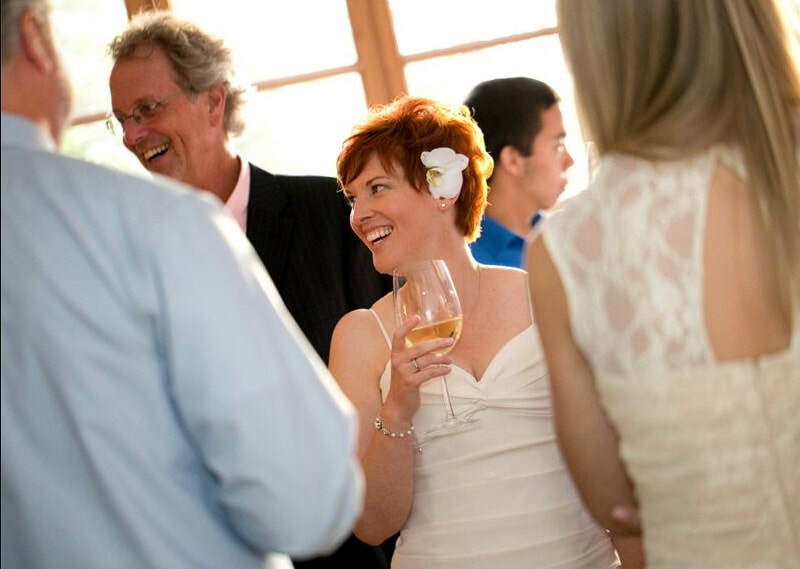 ​A Romantic Mendocino Wedding at Stanford Inn … overlooking the Pacific Ocean. ​Of the major life events, weddings are often the most joyous – the joining of two people, two families, in the company of friends. A wonderful location for weddings, The Stanford Inn Eco-Resort will work with you to create a tailor-made romantic wedding. Food service can include a wine and or champagne reception, appetizers, seated brunch, lunch, or dinner.